It’s been a while since we’ve worked with Sports Illustrated and thrilled to be back working with them with this great piece by MICHAEL BYERS for their NHL Preview section. The article is about the five major trades that went down in one day and how it will shape the upcoming season. 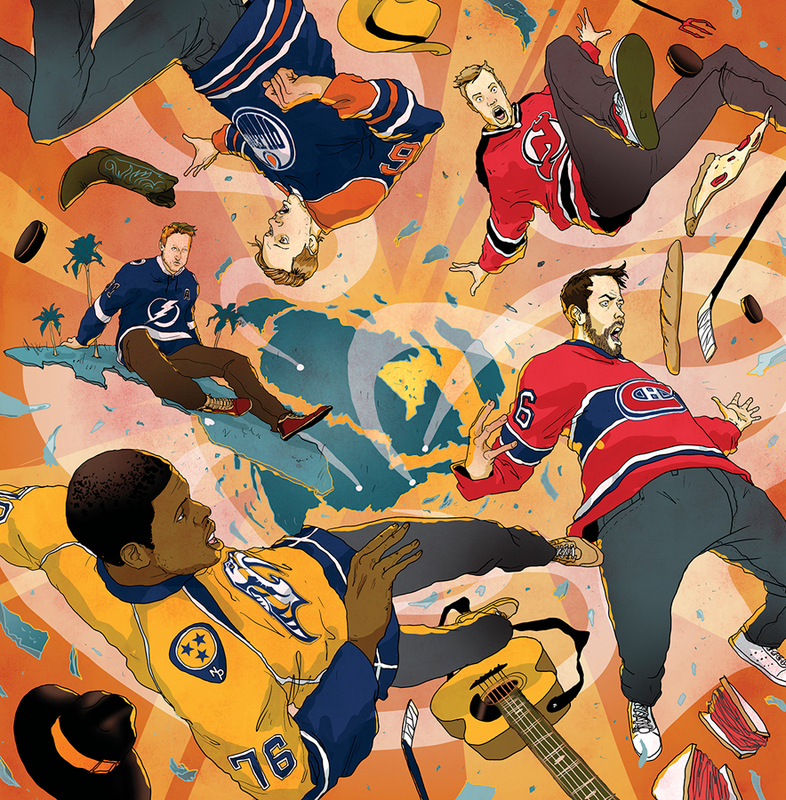 The players featured in the art are PK Subban, Shae Webber, Steven Stamkos, Taylor Hall and Adam Larsen. Thank you Stephen for a great assignment!